A specialty pharmaceutical company found through a market research survey with RNs ights that there was a lack of awareness of their cardiovascular medication among NP/PA prescribers. The company recognized the need to increase product awareness in this relevant HCP prescriber segment. 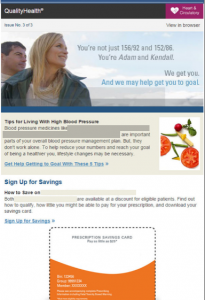 RNsights proposed an initial six month campaign promoting co-pay cards, informative videos, the clients’ newsletter and other resources through emails and the RNsights’ newsletters. RNsights generated th e creatives with input from the client to distribute the messaging to targeted NPs and PAs in cardiology and other relevant specialties. The messaging resonated extremely well showing high open rates and excellent participation with the calls to action. The client then continued promotion for the next 12 months after the initial campaign. 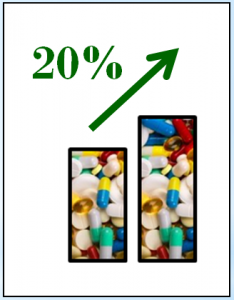 The net results were excellent as NP/PA prescriptions rose 20% over this period. RNsights continues to promote this medication.